I'm in love with an addict! We slowly started to rebuild our relationship. He told me he was only going to do marijuana. Around Oct 2015 I think he started back doing more than marijuana, because he started being distant and withdrawn from me and his family. Something is going on with his job...I'm not even sure if he still works there... I feel he is just working temp jobs. Started off calling everyday like we were still together. Than it went to him calling every 3 days. If I asked him if he was okay he get very defensive, so we had a falling out haven't heard from him. I don't know what to do from here, pray he doesn't overdose. Comments for I'm in love with an addict! Mariuana and alcohol are drugs too! The story you've told is so difficult and sad but also common. As a counselor, I can't tell you how many times I've heard, "I'm just using pot now, nothing else", "I still drink but that's it" or "I'm gambling more than I should but at least I'm no longer using drugs". When we're addicted and trying to recover, it is very tempting to replace one addiction with another that seems to be more socially acceptable. That's what it seems like your guy is doing. He bought pot right away because he "needed" something and pot seemed harmless. Then one thing led to another and he probably relapsed on his original drug of choice. 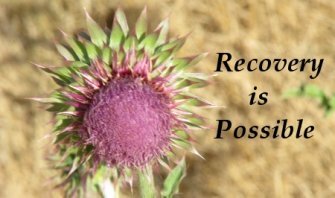 When we are trying to recover from an addiction it's critical that we move away from addiction and not replace it with a different addiction. The best way for us to do that is to go to meetings and work the 12 steps. I encourage you to begin going to Al-anon meetings to learn about his addiction. Then, once you hear from him again, invite him to meetings and begin working the steps together. He was able to quit before and so hopefully he'll be willing to go with you and begin a true recovery process with no substitutes.